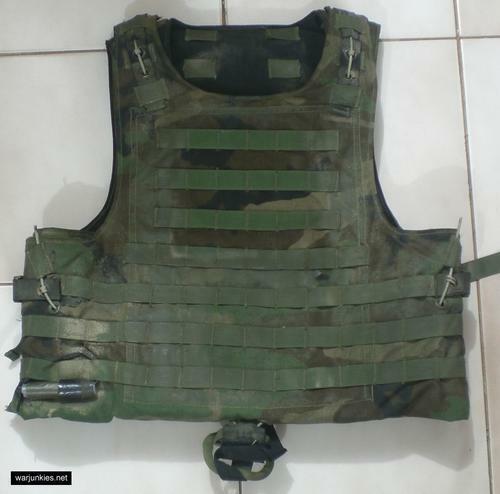 Very very very hard-to-find FSBE AAV QR (Amphibious Assault Vest, Quick Release) vest. A better, safer and easier to use personal battle equipment system has been created for Marine reconnaissance units. The Full Spectrum Battle Equipment (FSBE) replaces the previously-used system with many improvements which make movement underwater easier for Marines. AAV is the body armor of the FSBE system. The manufacturer of the AAV is Point Blank.